Book Review of "The War on Christmas"
This is a modified version of my review from "Evolutionary Truth by Piltdown Superman". What's it all about? What's happening, anyway? Christmas has been a part of Western culture for many years, and we did not need to worry about people getting "offended" at the use of the "C word". To be blunt, saying "Happy Holidays" is disingenuous; if there were no Christmas, there would be no "Black Friday" to get retailers back into the black, no gift exchanges, no special family gatherings. We all know what the holiday is! Now, the cashier where you buy your Christmas gifts can, in many cases, get in trouble for saying "Happy Christmas". Businesses have a "Holiday Party" in December and exchange gifts, but they are forbidden to mention Christmas because someone might be offended! (I am very close to start naming names on this at my own employer!) This political correctness stuff is a way to stifle free speech. No, the video is not associate with the book. I feel strongly about this and wanted to enhance your online experience with some humor and education. And I think it's an excellent light show and great song. Why the change? Why is Christmas under attack? Now for the book itself. To get moving on this, I used the PDF and have not yet seen a physical copy. However, the PDF was well-rendered. It has colorful illustrations and photos and the layout is not boring. The War on Christmas is 144 pages in length, divided into 23 chapters (plus introductions and a conclusion). Bodie Hodge is the "General Editor", and makes several contributions himself. This makes it very convenient for people who are doing Christmas preparations and activities, but can still get some interesting reading done. If you are locked into your religious opinions, traditions and church customs, you may have some problems. 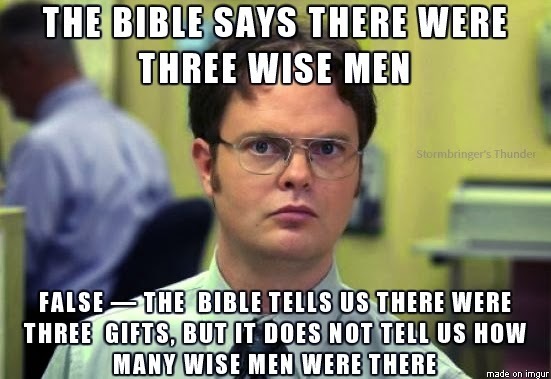 It can also be a great source of trivia to be able to say things like, "Actually, the "Three Wise Men" are not named in the Bible, and it does not even indicate how many there were. 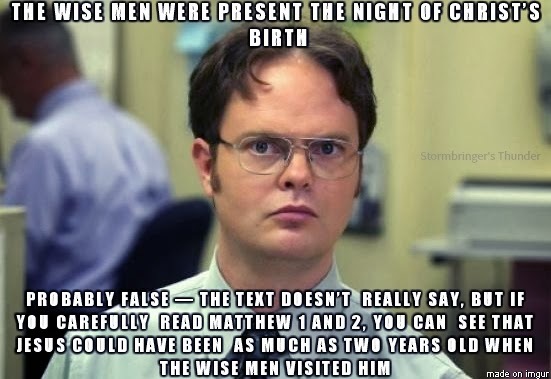 And they probably did not arrive with the shepherds at the manger..." We learn about the origins of many customs and legends. It may distress some people to learn the truth, but people like me are fascinated by the actual history. 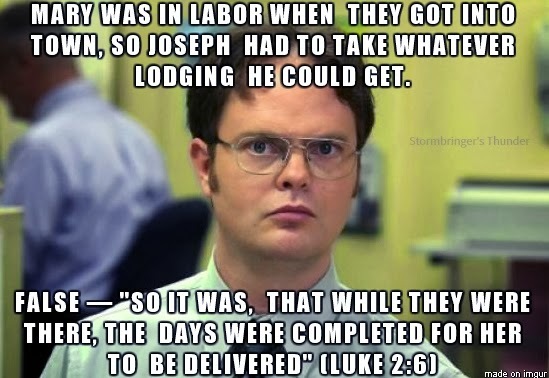 The reason and meaning of Christmas is presented. Misconceptions about it being a "pagan holiday" are put to rest, and we are encouraged to celebrate it. The history of Nicholas (who became Santa Claus) is presented, and we are given recommendations on how to deal with the Santa image. On a side note, I did not tell my kids that Santa was real. At least, not the one in popular culture. 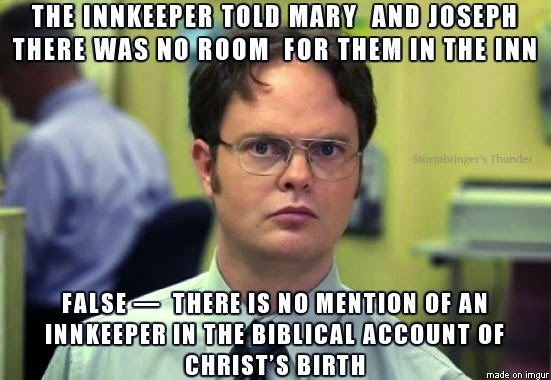 Why should they find out that their parents lied about this, and then doubt the truth of the reason for Christmas as well? My parents misled me on this, and I "found out" for certain when I was doubting Santa's existence anyway. 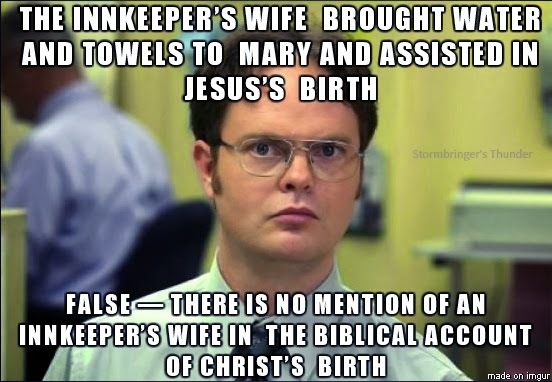 Fortunately, I did not extend this to doubting the birth of Jesus Christ. There are some other historical and cultural details in The War on Christmas, including the Virgin Birth, the Christmas star, the X of Xmas and more. 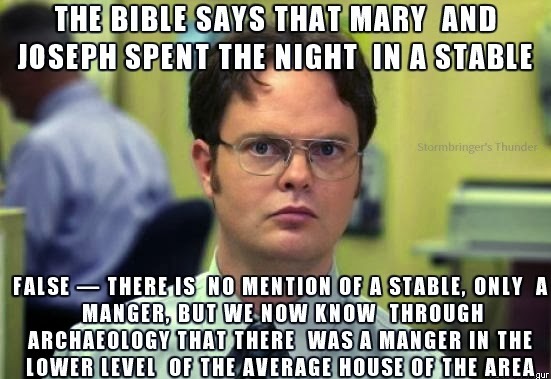 "But Cowboy Bob, what does a Christmas book have to do with creation?" Glad you asked. The war on Christmas is heating up along with the war on creation and the book of Genesis. This book makes the whole reason for Christmas abundantly clear, going back to Genesis. You see, Genesis is the source of all the major Christian doctrines. What is sin? Go back to Genesis. What was the beginning of covering of sin and animal sacrifice? Go back to Genesis. Why do we need a Redeemer? Go back to Genesis. At Christmas, the Creator of the universe became a man so he could become the sacrifice for our sins. I am not going to give you all the details of the book and spoil it for you, but I do give it high marks. One negative comment, however. The very last chapter (23) had several plugs for Answers In Genesis and the Creation Museum. While they are very important resources in the battle against the religion of pagan evolutionism, I found those references distracting. Just kind of read around them, the rest of the chapter has good information. If you have people on your shopping list that like Christmas material, this should be an excellent gift for them. And for yourself, of course. 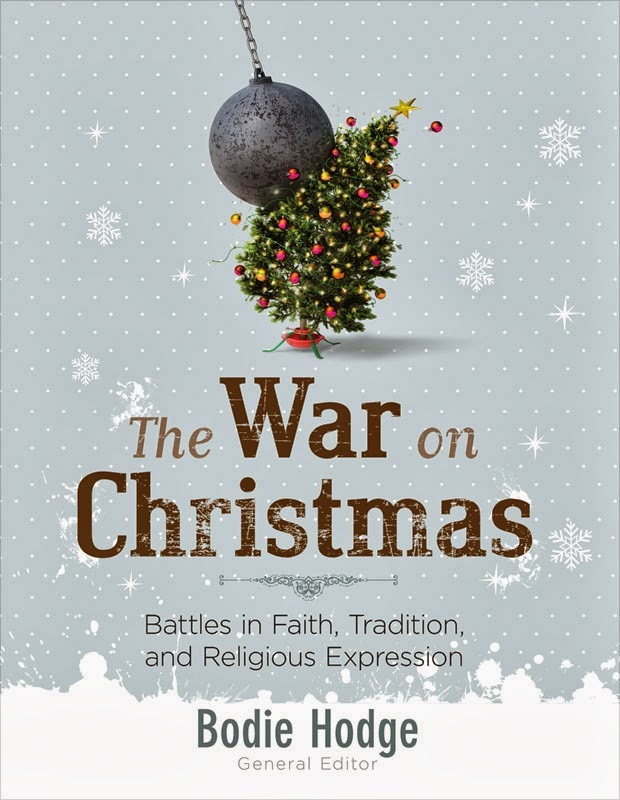 Disclosure: I was given an advance copy of The War on Christmas: Battles in Faith, Tradition and Religious Expression, edited by Bodie Hodge, for review purposes, plus a T-shirt that I wasn't expecting. There was no requirement for me to write a favorable review. It is available in paperback at Answers In Genesis, New Leaf Publishing, Barnes and Noble, Amazon and others. 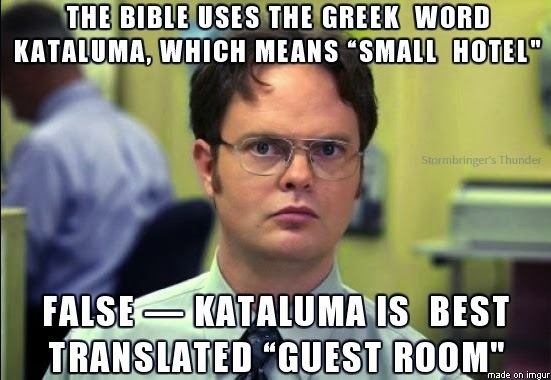 Quotes used on the "Shrute" "meme" are adapted from the book.